Standing in the arrivals area with the other expectant parents at the Oakland Airport, I waved to my daughter. This was the second time I’d waited for a child coming back from an incredible school science trip to Catalina Island’s Marine Institute. “Well, did you guys dissect the squid?” I asked. “Oh, yeah. That was cool. Julien drew a tattoo on his arm with the squid ink,” she said. After establishing the program was still sound, I probed for more insight into the drama. Apparently, two kids decided it would be fun to lob mean ridicule toward a girl who volunteered to demonstrate how to put on a wetsuit. She publicly retaliated, and it spiraled out of control. Instead of my daughter feeling fortunate for having this extraordinary experience, the 3-day altercation overshadowed everything. 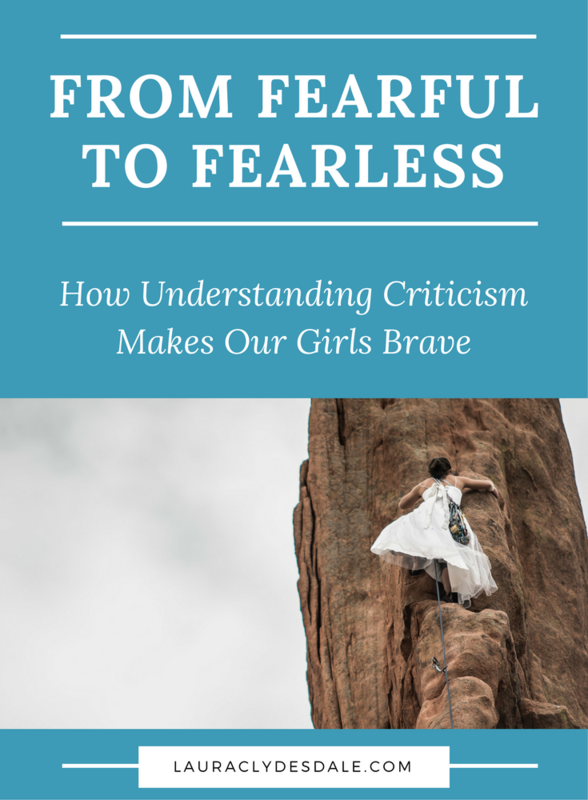 Everyone struggles with criticism but girls in particular fear ridicule. Girls Leadership Institute’s Dare to Dream, Dare to Act: What Girls Say About Bravery backs up these findings. 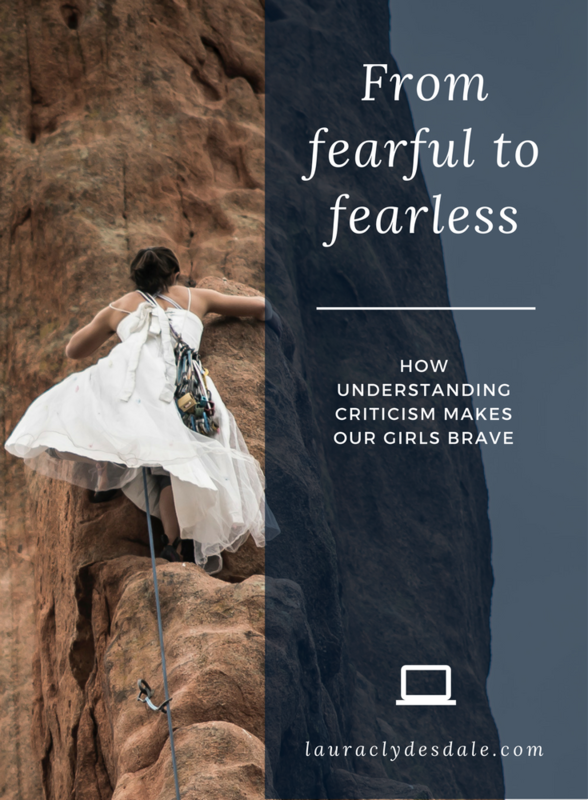 34% of girls often or always fear peer judgment such as being embarrassed, ridiculed, failing, or being ostracized. Unwarranted criticism. Constructive criticism. Professional criticism. Mean girl behavior. Being bullied. Being judged. Being singled out. Girls lump them all together because they all feel terrible to them. So, the simplest way to escape criticism, even though it can help you grow, is to not put yourself out there in the first place. Leslie Jones (Actress & Comedian), Gabby Douglas (Gymnast), Hope Solo (US Soccer Player), Hilary Clinton (Politician), and Marissa Meyer (Yahoo CEO) are just a few recent examples of women who put themselves out there and paid the criticism tax. I’m nowhere near their league, but as a writer who puts herself out there, I’ve also paid this tax. On-line comments can be thrilling… until they become less thrilling. Most comments are positive, and many are constructive, but some are so removed from reality they are preposterous. It’s often hard not to feel like those girls in the research and want to crawl into a hole. Although unpleasant, the ability to figure out which criticism matters gets me back to writing and putting myself out there again. It’s hard not to respond to someone immediately, especially if you are face-to-face. However, you can recapture some control over the conversation by telling the person you are surprised by this feedback and that you need time to think before discussing it. This buys time to get your emotions in check and to evaluate the criticism. If my daughter’s friend had paused, she might have found a response which defended herself and also deescalated the situation. Sort through the information you received and see if there is anything useful or constructive. The best feedback comes in the way of facts you can use to test if you truly are doing these things. Specifics also allow you to make a corrective action plan. Facts give you something to hold on to. For instance, if someone tells me “You’re a jerk,” there is very little I can do with that information. However, if someone says “When you did X, it humiliated me,” I can realize I did a pretty jerky thing, apologize, and figure out how not to do it again. On being kind, “I’m not saying you should be a doormat. Kindness isn’t the same as passivity or placating. Kindness means I choose not to meet a personal attack with a counter-attack,” says Martin. Often people are having a bad day or perhaps a situation in their lives is causing them to lash out. If this indeed is happening, the knowledge takes the edge off, helps us not take the criticism so personally, and helps us avoid reacting. 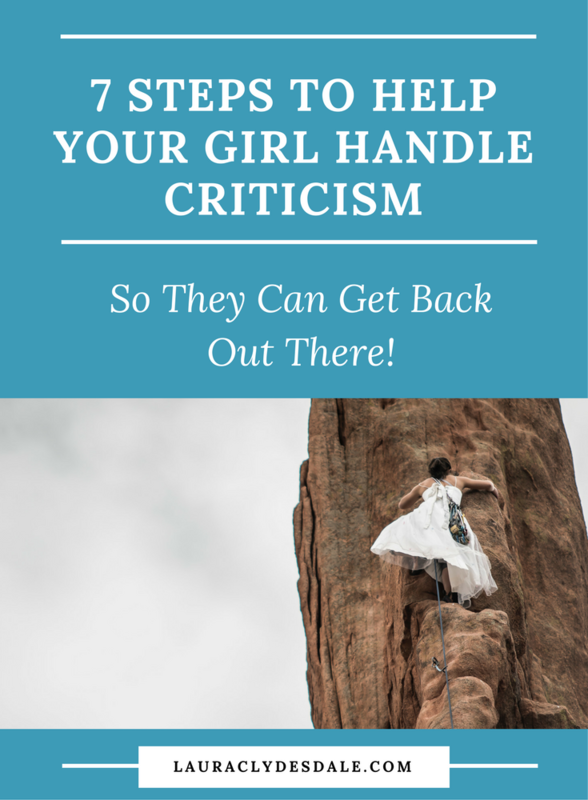 The toughest part of sifting through criticism is determining whether the feedback is even about you at all. If someone tells you-you are a bad mom in response to something you wrote in a 900-word article, it's clearly not about you and everything having to do with their own experiences and beliefs. In fact, it might be best just to walk away. “Notice when someone’s criticism of you just doesn’t make sense. You may wonder if you’re having the same conversation, reading the same material, or living in the same house. When this happens, it’s probably other people’s baggage or agenda that they’re trying to hoist onto you. They’re looking to engage you in a conflict. You don’t have to participate.” says Martin. When we recognize all criticism isn’t the same, we feel more confident in risk taking. When we put ourselves out there, we know we will get judged. But when we decide which judgment to allow into our lives, and which to ignore, we gain more control. It helps us become braver.